MAY 30 to JUNE 9, 2019 The 19th annual FunnyFest Calgary Comedy Festival features: 11 days & nights of comedy, 11 venues, 70 performers, and 11 themes. FunnyFest produces 125 plus events per year including: The Calgary Comedy Festival, comedy shows, monthly comedy series, comedy workshops, comedy writing, Talent Search, Christmas Comedy Special, New Years Eve Extravaganza. 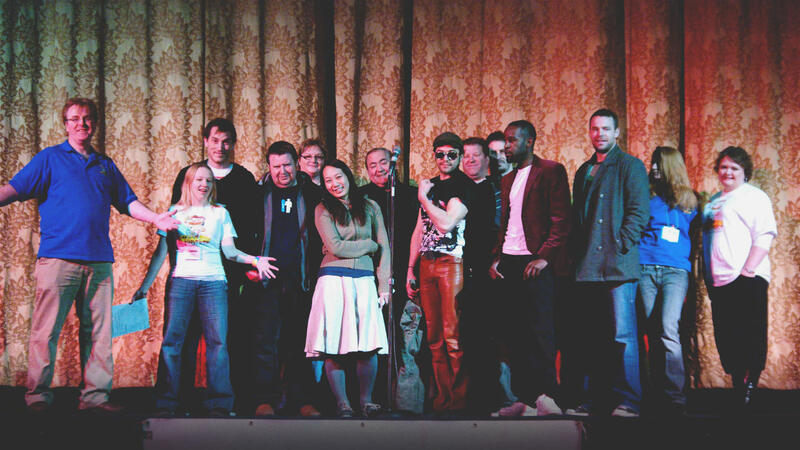 FunnyFest, founded & produced by Stu Hughes, was conceived as a way to spread the Gift of Laughter by showcasing a world of hilarious Comedy Performers. FunnyFest Calgary Comedy Festiva, offers over 11000 punchlines, 11 days & nights of comedy, 70 performers, and 11 themes. FunnyFest does it all -- from high brow to low brow and everything in between! FunnyFest is a non-profit organization produced entirely by volunteers and offers much more than it takes from the community.